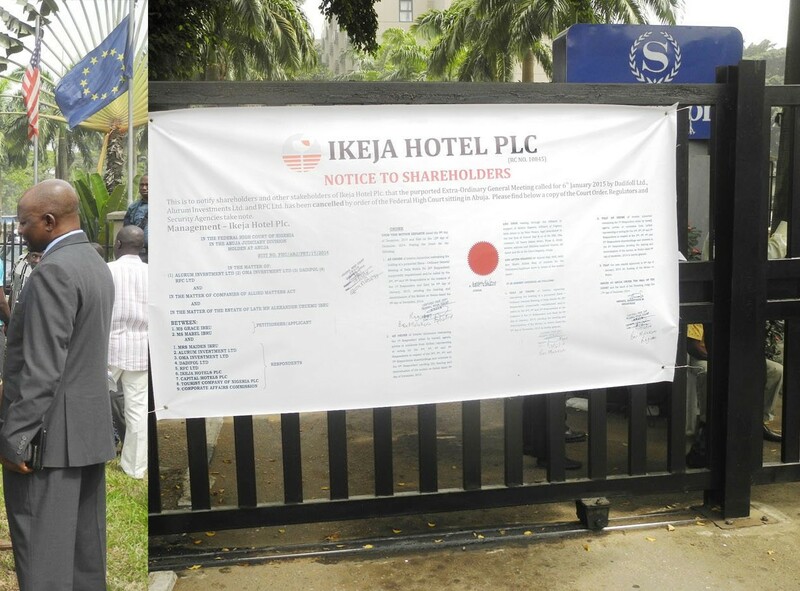 The management of Ikeja Hotel Plc has promised to file its Audited Financial Statements for the years ended December 31, 2014; December 31, 2015; and December 31, 2016 on or before Tuesday, September 19, 2017. This information was contained in a statement signed by the Compliance Ofﬁcer of the company, Mr Olayiwola Osituwo. “lkeja Hotel Plc wishes to inform its esteemed shareholders, stakeholders and the general public that at the board meeting of the company held on August 21, 2017, the Audited Financial Statements of the company for the years ended December 31, 2014; December 31, 2015; and December 31, 2016 were approved. “However, the financial statements which have just been signed are yet to be filed with the Nigerian Stock Exchange (NSE) for dissemination to the general public. “The company is hopeful that these financial statements will be filed on or before Tuesday, September 19, 2017.